Even though the layout of RadDocking is very agile and could be used to easily achieve many different layouts sometimes a more complex one is desired. In such scenarios it is possible to use nested RadDocking instances which provide multiple DocumentHosts, multiple level of docking compass restriction and inner tabs inside RadPanes. 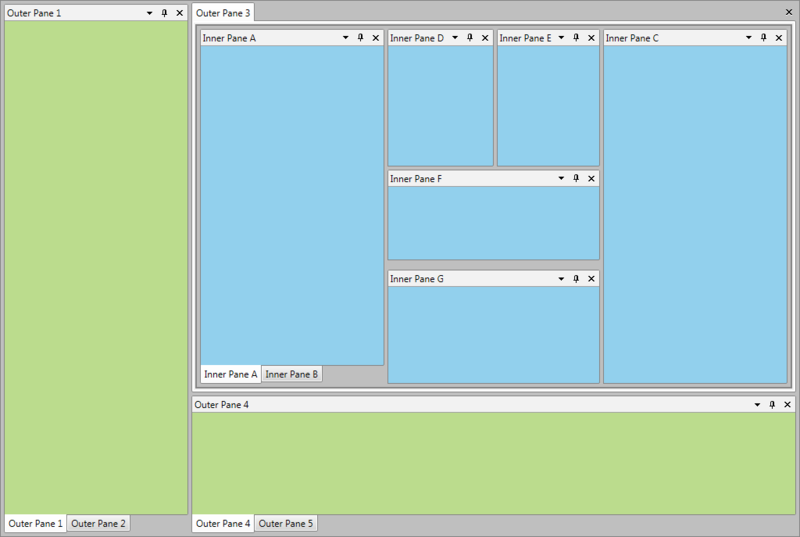 With the Q1 2014 release of UI for WPF RadDocking has been improved in order to support multiple nested RadDocking scenarios. Now you can easily implement more complex layouts by using all of the features of RadDocking inside of a single RadPane. 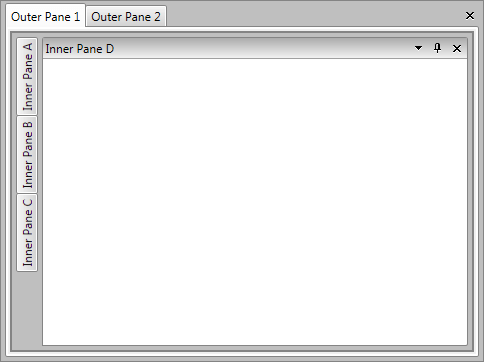 For example you can place a new RadDocking instance with DocumentHost inside of the RadPane and easily achieve tabbed navigation using the RadPanes in the DocumentHost. Some of the possible to achieve scenarios will be shown in this section as well as a simple Getting Started example. The nested RadDocking layouts can be easily saved and loaded using the built-in Save/Load Layout functionality of the control. In order to achieve Save/Load Layout for nested scenarios you will simply need to save each RadDocking separately and load separately each of them afterwards. The direction of the loading operation should be from the inner RadDockings to the outer ones in order to avoid any issues when loading floating RadPanes/RadPaneGroups. For more details you can check the Save/Load Layout article. You can download a runnable sample project demonstrating Save/Load Nested Docking Layouts from our online SDK repository:here, the example is listed as Docking/NestedDockingSaveLoadLayout. 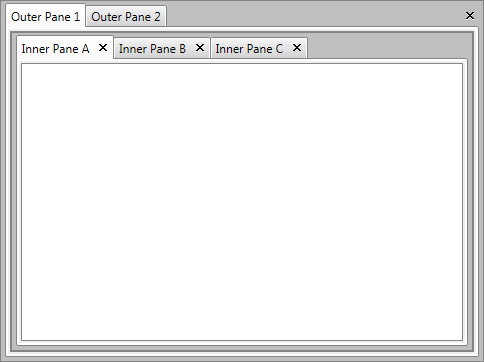 Nested scenarios in the autohide areas – due to dragging issues when RadDocking is placed in an unpinned RadPane. In order to avoid that you could either disable the dragging within the inner RadDocking (you just need to set CanFloat=”False” to each RadPane) or the RadPane which holds it should be always pinned. Drag and drop of RadPanes between two RadDocking instances. Deferred DragDropMode is not supported in the nested RadDockings.